Reciprocating Stamping is a unique classification of stamping that integrates the function of a stamping system with the function of a walking beam. This highly flexible and powerful method is used extensively in the production of heat exchanger fin. Although not as fast as roll forming, reciprocating stamping can make a far wider variety of fin types and sizes. 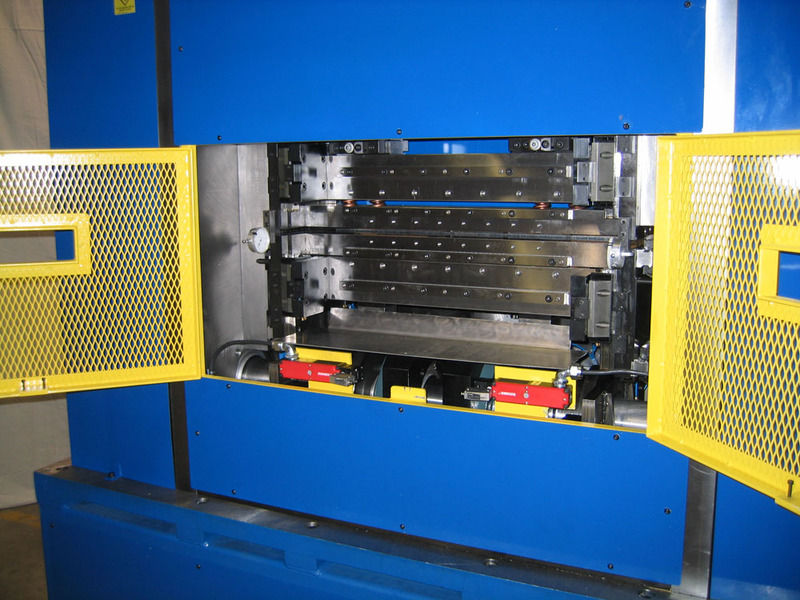 For certain fin profiles, predominately those use in automotive applications, roll forming is the best option for fin production. However, for considerations such as wide profiles, high height/density aspect ratios, high strength metals, or advanced profiles like herringbones and ruffles, stamping is the best alternative. The key to a quality reciprocating stamping application is synchronization of the movements and lots of power. To be able to form Titanium, Inconel, and other high strength materials, reciprocating stampers can come as large scale units capable of tremendous forming forces while maintaining positional accuracy. 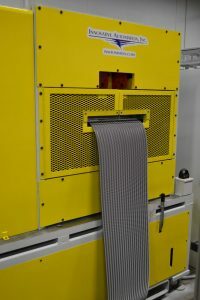 Smaller versions of these presses are also available for less strenuous applications. 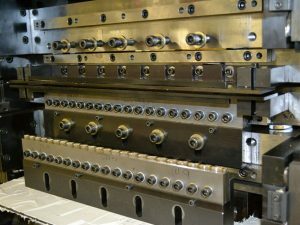 At Innovative Automation, our experience in forming everything from narrow aluminum fins to wide Inconel fins allows us to engineer a system that will work best for your specific application.